An advanced aromatherapy leg gel, containing essential oils with anti-inflammatory and analgesic properties. 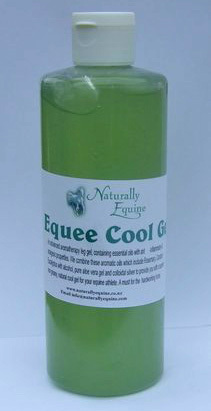 We combine these aromatic oils which include Rosemary, Camphor and Eucalyptus with alcohol, pure aloe vera gel and colloidal silver to provide you with a superior non greasy, natural cool gel for your equine athlete. A must for the hardworking horse.